rooms with names compose a warm atmosphere, inspired by the ancient Greek hospitality. 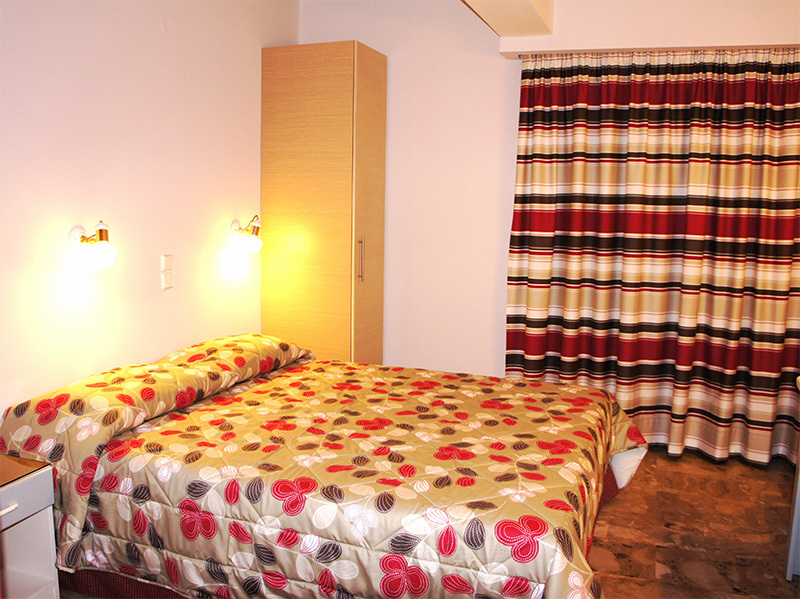 Double rooms are 21 sq.m. and equipped with 2 single linked beds or one double bed. 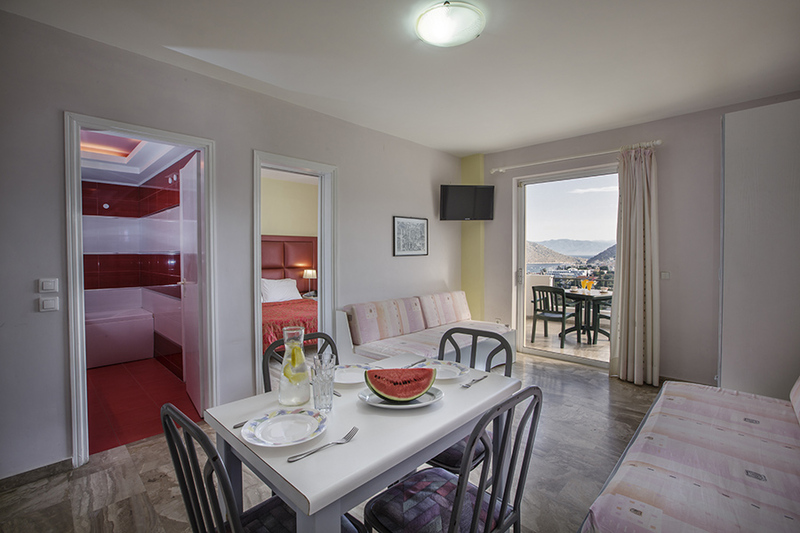 In the room exists bathroom, TV satelite, air-condition, hair-dryer, safe, refrigerator, fully equipped kitchenette and balcony with a breathtaking view of the sea and the town! Triple rooms are 32 sq.m. are sold with 1 double and one single bed, in a united space. In the room exists bathroom, TV satellite, air-condition, hair-dryer, safe, refrigerator, fully equipped kitchenette and balcony with fantastic view of the sea and the town of Tolo. Panorama offers apartments with all the amenities. Large balconies and fantastic views. Our two room apartments consisted of two rooms. One bedroom for two person with internal door and the other room that has 2 couches that are changed in to regular beds. Panorama offers family rooms with all the amenities. Large balconies and fantastic views. All our rooms have large balconies overlooking the pool, Tolo and the beautiful islands of the Argolis Gulf (Koronisi – Romvi – Daskalio). This two – room suite is 42 m² with a private balcony with Argolic Gulf view. It has a kitchenette with cooking hobs, mini oven, fridge, satellite TV, A/C, bathroom with bathtub or shower.